I seldom experience slowness in the city. I rush around every weekday morning, I try to arrive at my office on time, and I work diligently throughout the day. I make post-work plans to meet up with others at a certain time, and lots of my day is scheduled. 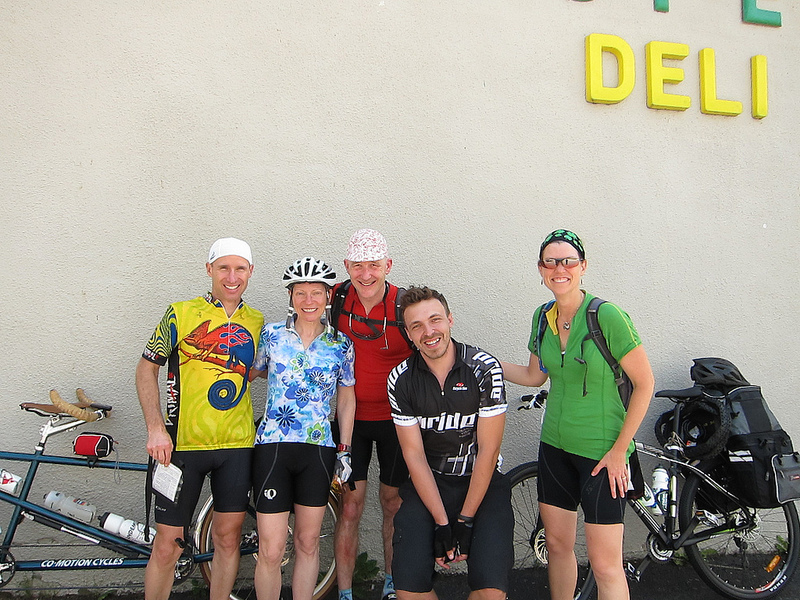 The tours and rides Felkerino and I have done this year have reminded me of what a gift slowness can be. 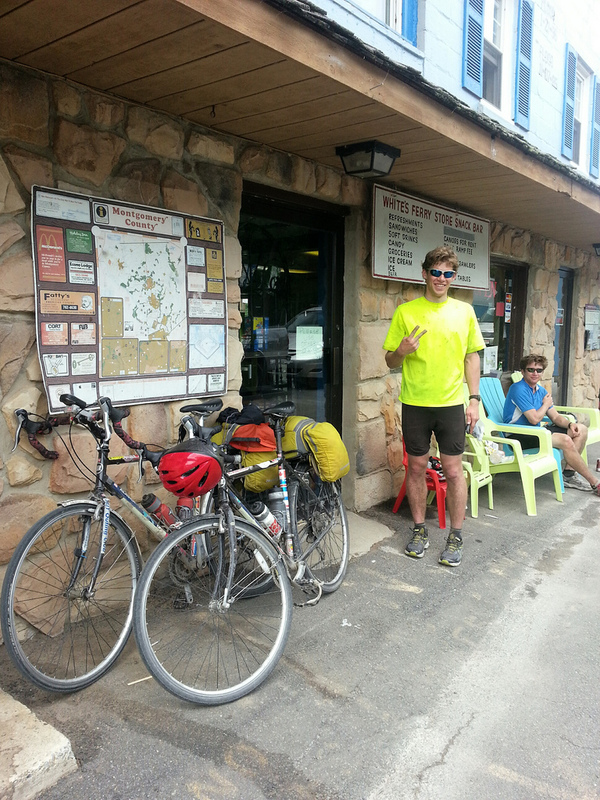 Our timetable is based on where we plan to end our ride and when the sun will set. Sundown pace, I like to call it. These rides allow complete immersion into simple pleasures. You can pick the “best” fresh organic strawberries from the farmer’s market. Even better, when the blackberries are in season you might get lucky and find a patch, just perfect for you. Or you might choose to indulge in fine dining with your friends. 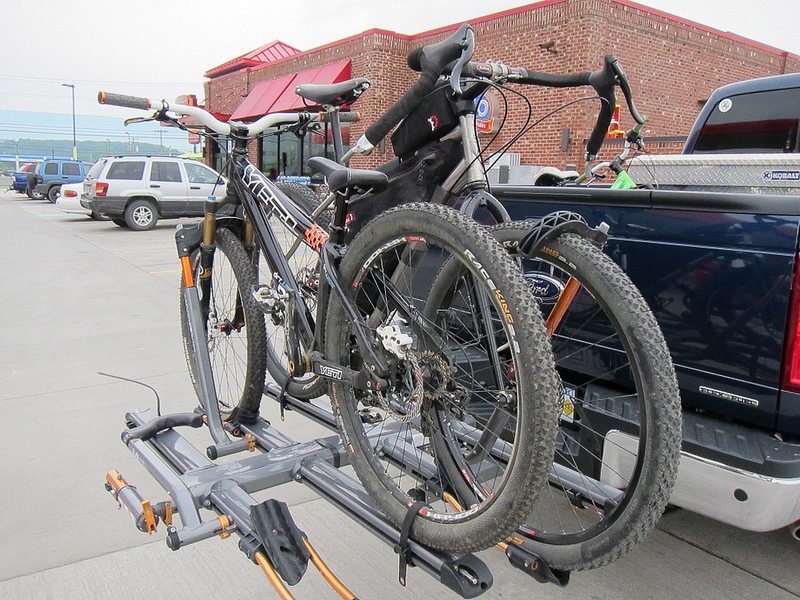 You have time to stop and inspect the cool bikes that rolled in at the Sheetz. 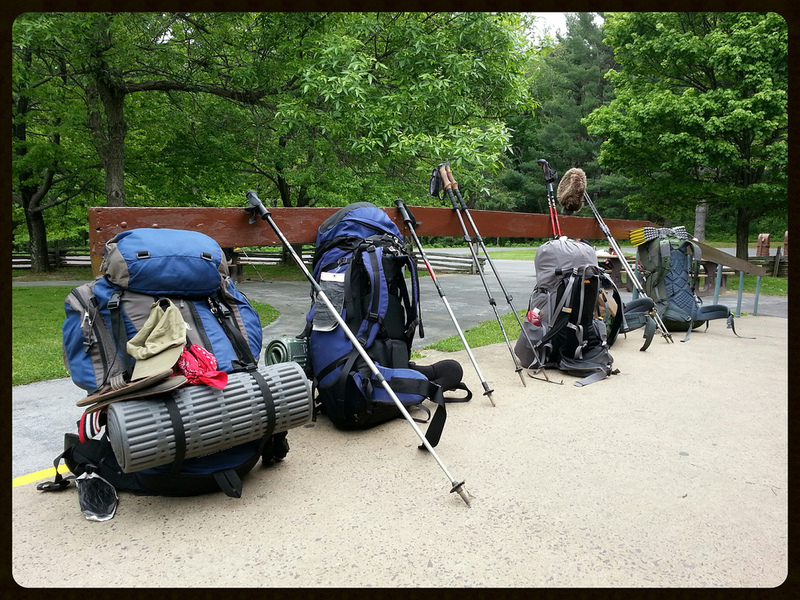 You can pause to chat with the Appalachian Trail hikers and see how their journey has been. Going slow lets you help a lost tourist with directions, and you even have time for a group photo. 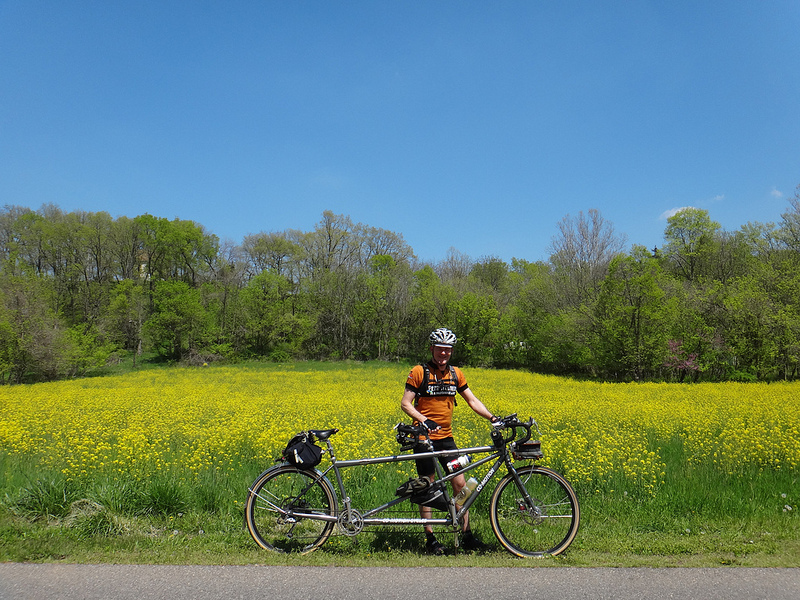 You might also meet ambitious riders who are covering big distances in a few days, like these two guys, who were riding both the Great Allegheny Passage and the C&O in two days. 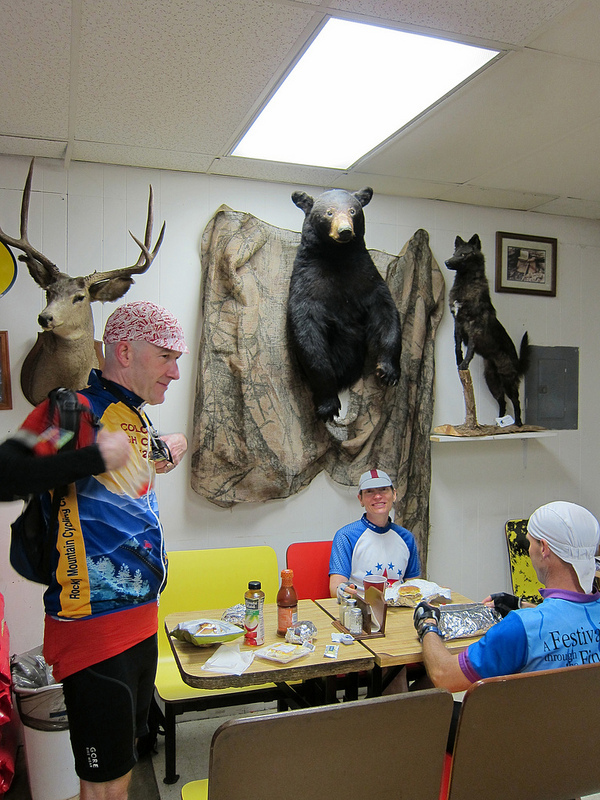 Slowness allows you to savor each moment, goof around a little, and experience the area you’re riding through on a more intimate level. 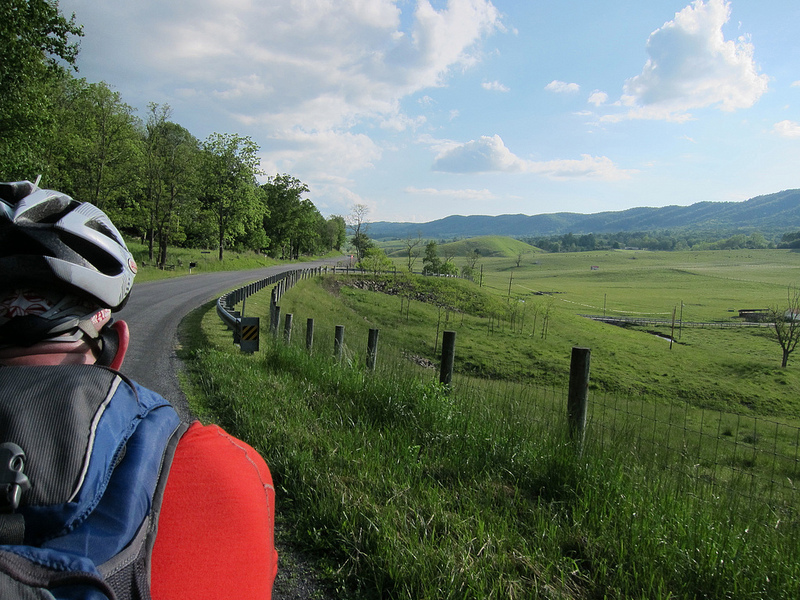 Slowness is exactly what I needed on my bike rides this year. Looooooove it my friend! Would love to have a group of friends who would ride like this together. You are truly blessed! Well said, and great pictures too! 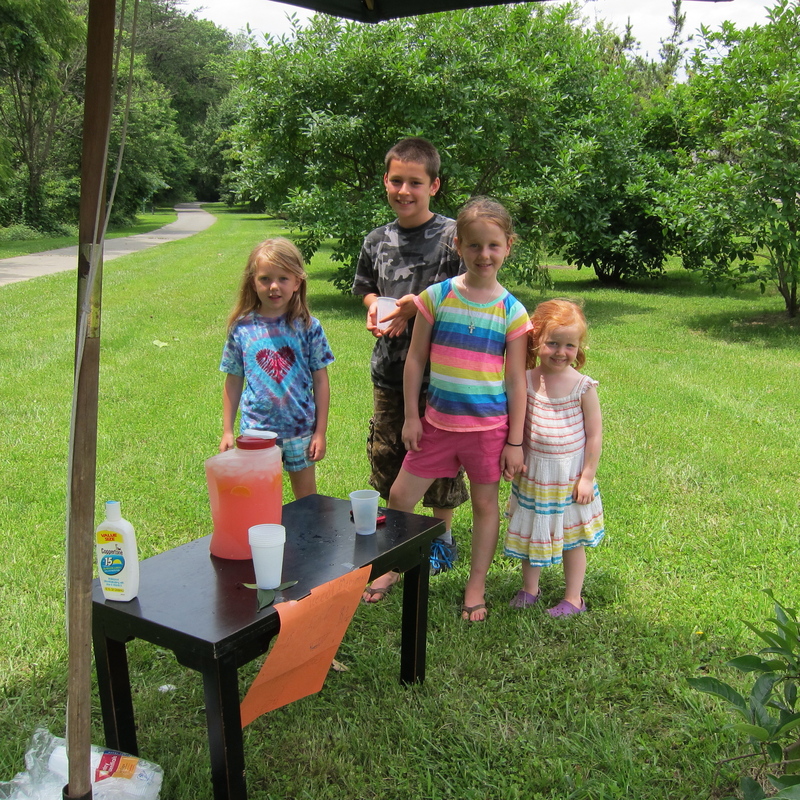 I also stop for fresh strawberries and kids’ lemonade stands. GAP and C&O in two days? Whew! 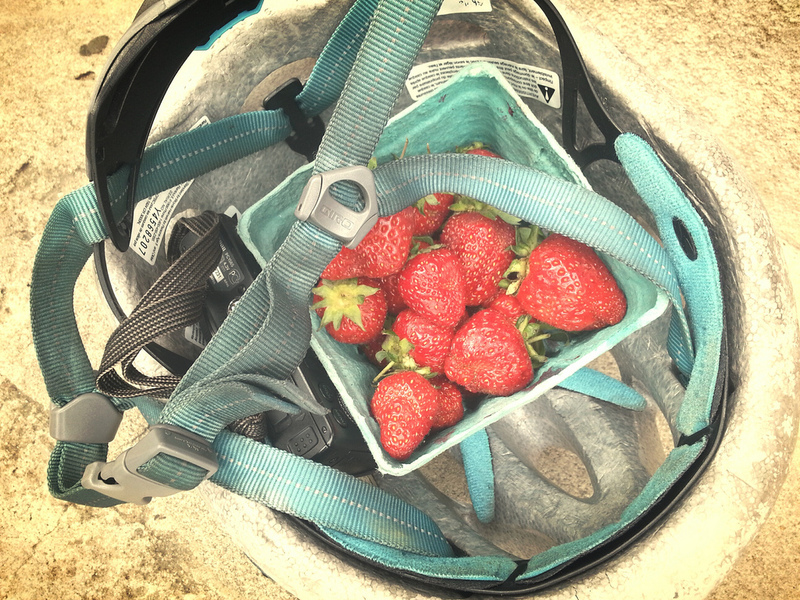 Great photos — I especially like the one with the strawberries in the helmet. 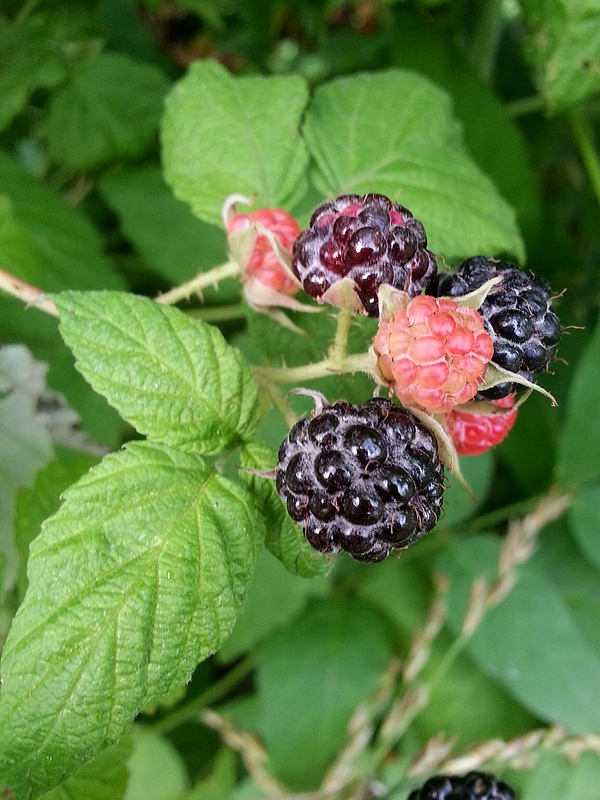 Finding wild blackberries is a wonderful treat out there on the trails. You must have a sharp eye to spot them from the saddle. I have dreams of riding the GAP … time to go bike shopping for a suitable steed! Awesome. I concur! I wanna do the C&O GAP soooo badly!!! when i think upon you and your life, i have often wondered if you ever slow down. now i know you do!